I don’t generally read YA books but having enjoyed another book by Carol Hedges I chose The Final Virus and was delighted I did. This is the start of a series but can be read as a standalone and for me its greatest strength is in the superb characters the author creates. You know exactly who everyone is and they are as real as they would be if they were sitting right next to you, which with Mr Neots I’m glad is not the case as he really is a despicable man. We have Will, a popular boy at school, and with the girls, he’s kind to his younger sister Dahlia and they are both struggling since their father was killed in an accident at work. At least they are told it was an accident but Will doesn’t believe it and sets out to find the truth. Amber is a rather strange girl who sees terrifying visions about the end of the world and lives a lonely life with parents who are mostly absent. As already mentioned there is the odious Mr Neots a teacher from school who hates his family, apart from his equally revolting daughter, Kayla, his pupils and everything about his life as he seeks to better himself. I felt dreadfully sorry for his son Chris. But best of all we have Ned and I think we should all have a character as useful in our lives. And then of course there is…The President. At the start of this story there are just the usual teenage life issues going on but gradually there are more and more hints about the perfect, and totally controlled, world they are all now living in since the old one was practically destroyed in a cybercrash. Will and Amber gradually come together and this is very well handled as they are total opposites so their relationship evolves naturally and wasn’t rushed which I liked a lot. For me the read occasionally felt a little rushed but that is probably because I’m not a YA and like to take my time with the build up towards events happening in stories but I’m sure this book will be hugely enjoyed by those who are. Well-written and with many thoughtful points to consider such as the four horsemen and the stick people, I highly recommend. I received a copy of this book in exchange for an honest review and this hasn’t changed my opinion of the read one iota. In a dystopian future Earth’s environment has completely changed following a spate of natural disasters, which claimed a huge percentage of the populace, and caused extreme climate change, plus a total cybercrash which wiped the data from every chip, memory board and circuit on the planet. This new world is governed by just one president who revitalised the world and improved life for the remaining population. Seemingly. Will is still reeling from the sudden, and as he believes, suspicious, death of his father. When he finds a calling card which is able to be read by Ned, the computer his father built which Will now uses, his misgivings don’t seem unfounded. Will is desperate to find out the truth behind his father’s death. He is helped by Amber, his strange and unpredictable classmate, both of them unaware of the danger they are placing themselves in. 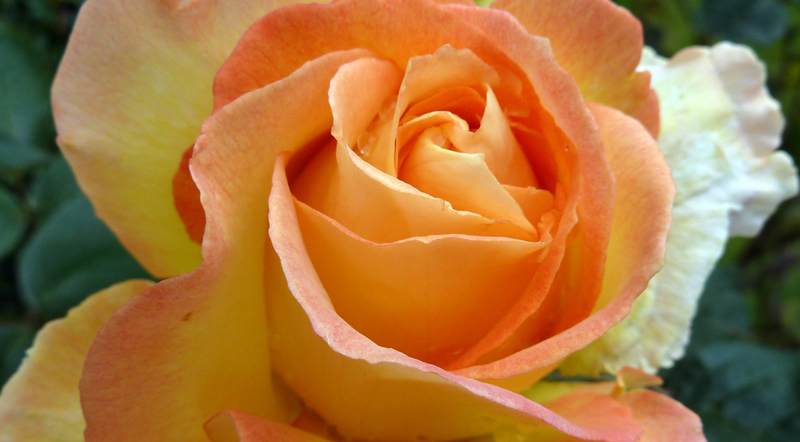 Will and Amber are complete opposites but despite that, develop an attraction to each other. Completely different in writing style and genre to other books by Carol Hedges that I’ve read but nevertheless, the characterisation is just as good. Will and Amber are well defined and distinct, as are the secondary characters, nasty ones too, of which there are a few, but all have their part to play in moving the story forward. I like how the relevant facts of the world setting were revealed by the obnoxious teacher, Mr Neots, in the form of history lessons. A well written story with some great twists. It’s quite a scary picture of the possible effects and consequences of severe climate change. I like how Will and Amber’s relationship evolves realistically, given the situation and the disparity between them, yet somehow they complement each other. There are a few plot points which don’t quite add up and perhaps needed to be expanded upon, (I’m wondering if there will be a sequel) but on the whole, this is a very enjoyable read. Will’s father dies in an accident at work. At least that’s the official story. But Will knows it isn’t true. Somebody wanted his father dead – and he’s determined to find out why. But it’s not easy battling the might of the Globecorp empire that controls every aspect of human life. The only person who understands and believes him is Amber. And she has problems of her own. 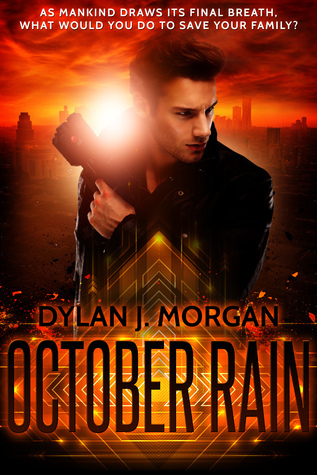 Will and Amber are up against an evil that is far more dangerous and darker than anything they have ever encountered. And they only have a limited time to unpick the strands before the final virus is uploaded and time runs out. 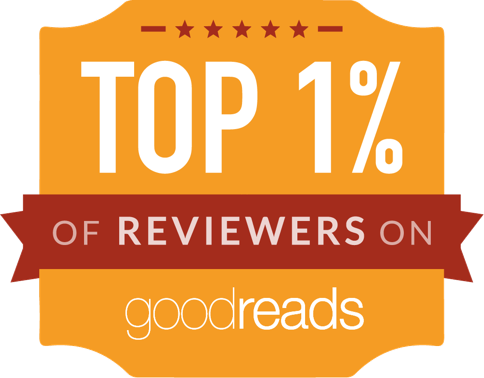 The Final Virus is at the upper end of the word count for a novella, but could be read in one sitting if you have a couple of hours. 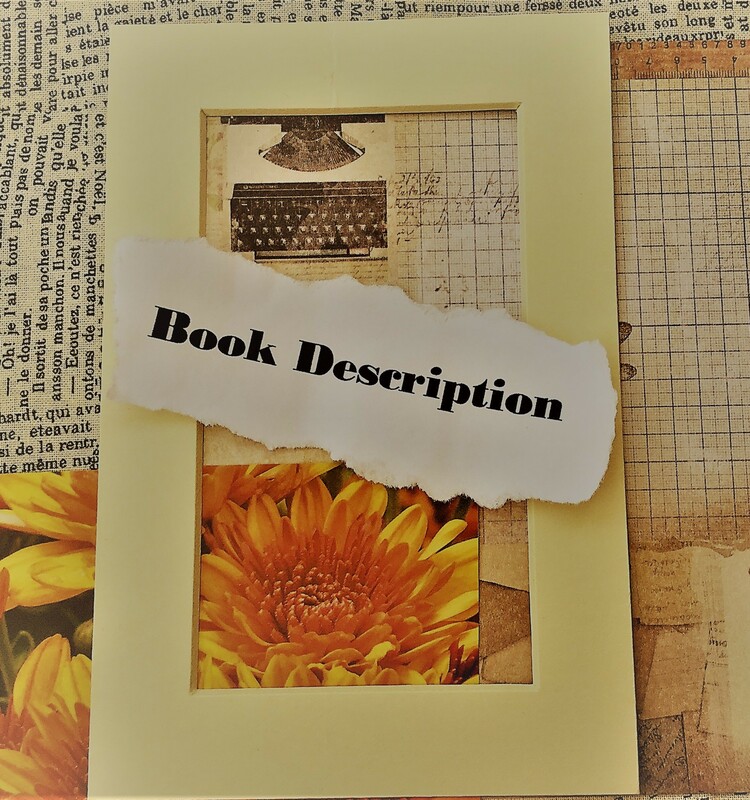 This book possesses a good concept, with a little something different in the dystopian genre, and has some likable characters – as well as some easily loathed characters. It moves along at a brisk pace and the descriptive writing produces some vivid imagery. With this book being a novella, I felt as if too much was compressed into these pages and think the story could benefit from expanding the word count into the novel range and adding more details about the world-building, characters, and their relationships, allowing for a more balanced plot line. I never had a good grasp of the governmental structure and would have liked to know more about Will and Amber and see their relationship develop at more gradual pace. There are some nice surprises and twists along the way, but the ending contained a lot of information over a few pages and I think with more details about the world-building, it wouldn’t have been quite as difficult to follow. 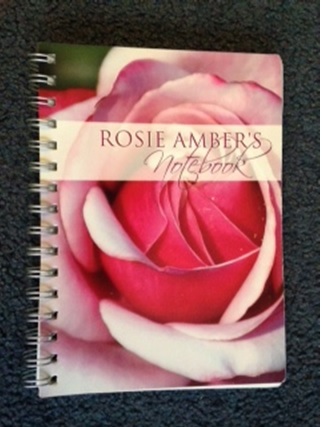 I received a digital copy of this novella in exchange for an honest review through Rosie’s Book Review Team. Will and Amber live on a new ‘Earth’, one created after the planet was pretty much destroyed following a cybercrash. This new home is managed by the ‘President’, a character who remains elusive for the majority of the book. At the start of the novel, we see the similarities to our day to day life. School and homework, children’s parties, and television shows, but as the story progresses we start to get a feel for the subtle differences in this dystopian world. Amber is a loner with zero friends. Will is a ‘popular’ who is idolised by the entire student body. They are cleverly brought together, but it’s not a smooth road. I liked this aspect of the story. It’s all too easy to opt for the typical coming-of-age ‘boy meets girl-snog-save the world’ storyline. Carol Hedges keeps her characters quirky and at arm’s length, evolving Will and Amber’s relationship at a steady pace. When their teacher, Mr. Neots, arrives on the scene I took an instant dislike to the man, a testament to the author’s ability to write a fully rounded character. He loathes the students, despises his family and oozes spite. Everything a good antagonist should be. The storyline centres on Will and his father’s ‘accidental’ death. He meets a government official who leaves more clues to confirm what Will already suspects – that his father was killed. With help from his little computer, Ned, and his new friendship with Amber, they begin a dangerous journey. Amber’s story is less straightforward. She hears voices and sees the Four Horsemen of the Apocalypse at every turn, but she wants to help her friend discover the truth. That truth, however, brings them face-to-face with the worst kind of evil. Suddenly Amber’s story becomes the main view point. There are plenty of secondary characters to drive the story forward. I liked Will’s little sister, Dahlia for her injection of familiarity and I thought Chris and Kayla were fabulous in showing how two children from the same parents could be so different. 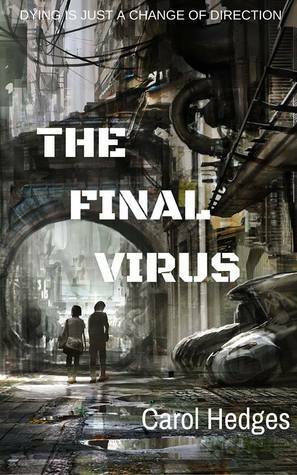 Although not as vividly descriptive as Carol’s Victorian Murder Mystery series, The Final Virus was a thoroughly enjoyable book, leaving enough threads for a follow-up but succinctly tying up all the loose ends. This is a post-apocalyptic dark comedy. The USA has become the Shattered States and Cassidy’s mission is to drive across America to scatter her mother’s ashes over the Golden Gate Bridge, as per her dying wish. To help her on her way in these dangerous times, she enlists the help of serial killer Lloyd. 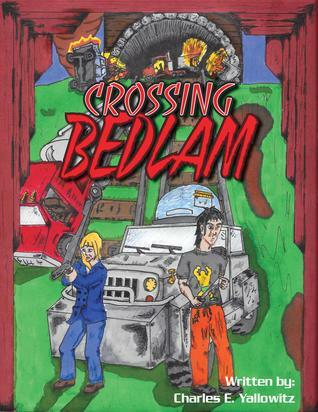 Crossing Bedlam is an amusingly written book with lots of good one liners and observations that I appreciated very much, and some nifty characterisation, but for me the combination of a post-apocalyptic world and comedy didn’t mix well enough to be a real page turner. I could have done with a little more background in the first instance; I felt with this one that I’d walked into the middle of a film. The only other negative for me: the way the narrator kept referring to Cassidy as ‘the blonde’. Why not just ‘she’ or ‘her’? Archaic at best, sexist at worst ~ I didn’t notice any of the men being referred to as ‘the brunette’ or ‘the redhead’…! If a slightly off-the-wall comedy dystopian novel is your thing, you’ll probably love this, as it’s clever in many ways; I imagine if I was thirty years younger, male and American I might have enjoyed it a lot more! It’s a book I can imagine going down well with guys who like playing Xbox games about these type of scenarios. I liked this novella a lot! It takes place many, many years in the future, after Mars has been colonised by the dying Earth, and thousands have moved to artificially constructed cities on the inhospitable red planet. But now life on Mars is coming to an end, too, and the lucky ones are moving out to Titan, a satellite of Saturn. 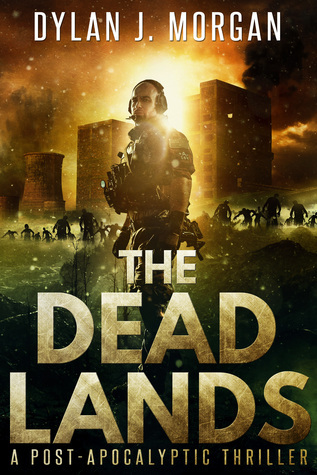 I’ve read quite a few of Dylan Morgan’s books, and this one reminded me of The Dead Lands, my favourite, with all its expertly orchestrated suspense and bleak atmosphere. This writer knows how to do ‘bleak’! The pace is perfect, the plot unpredictable, the characterisation spot on. It’s not for the faint-hearted, or those who want to be assured that everything will turn out all right in the end. My only complaint is that it’s so short, even though it fits perfectly into the length of a novella – I think it could have been a novel, though, or maybe the first in the series – come on, Dylan, surely this can’t be all there is??! It’s a great idea; made me want to know what happened before, and what will happen after. One of those books that made me want to keep clicking the page turner on my iPad, hoping for more.